A tale of two cities, and a town called Bloemfontein Before I begin reviewing each contestant, I would like to thank Andy from Eye For Beauty for giving me the opportunity to do the Miss SA reviews for the third time. I have been an avid fan of Miss SA since the age of 6 when Diana Tilden Davis won the crown, and now at 28, I am surprised it’s been 22 years that I have keenly followed our national pageant. I will say that this year is undoubtedly the Revival of Miss SA in local media, and it is astonishing how well the organization is doing to promote the pageant. I am absolutely indebted to Miss Bam for really giving life to this pageant in every way imaginable. knowledge of what makes a pageant exciting and interesting! So let’s begin with what works, and then some suggestions for the way forward. 2. Judges and hosts- Elana Afrika is a perfect ten for me. The judges are simply fantastic. I am also happy that the whole Black Coffee scandal was dealt with professionally and intelligently. 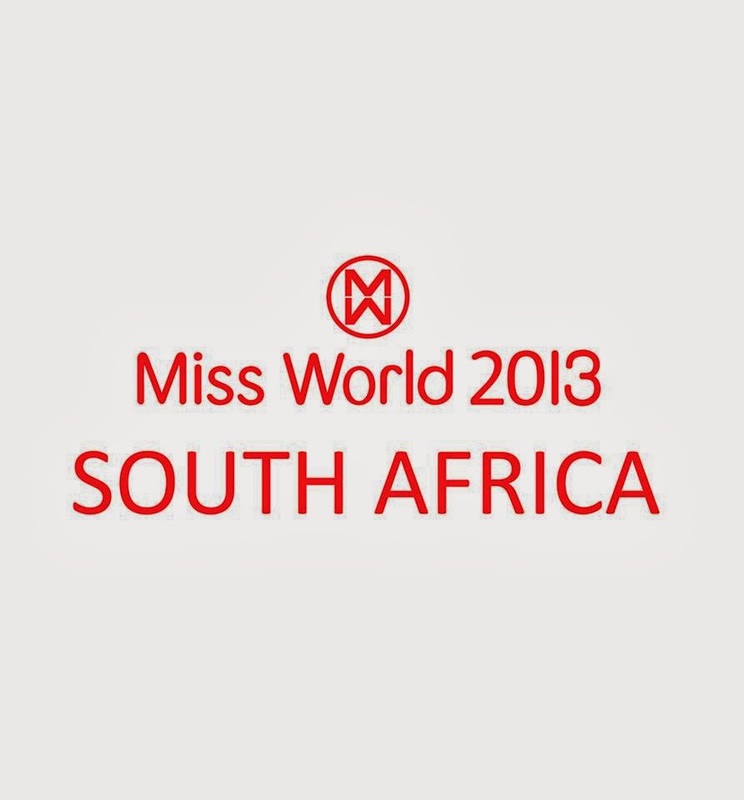 I am quite surprised this is the same Miss SA Pageant that existed a few years back. 3. Mood of pageant- The mood of the pageant is more relaxed, more realistic and much more chilled than in previous years and I LOVE THAT. A MILLION... AND 12 THRILLS: The announcement of the top 12 was very exciting. 4. A matter of class!- the pageant has evolved in a HUGE way in this year. Every episode is broadcast in HD, the announcement of the Top 12 was insanely spectacular at the pool, the girls are so much stronger, a fantastic lineup of sponsors who are actually BRANDS people are familiar with. 5. Bringing back past titelholders- Not only does it give us fans the opportunity to see our favourite past titleholders in the present, but it also creates this nostalgia amongst those who remember Miss SA in the past, but who are not familiar with recent titleholders. So this is absolutely lovely. 1. Broadcasting on Mzansi- I am totally against this. 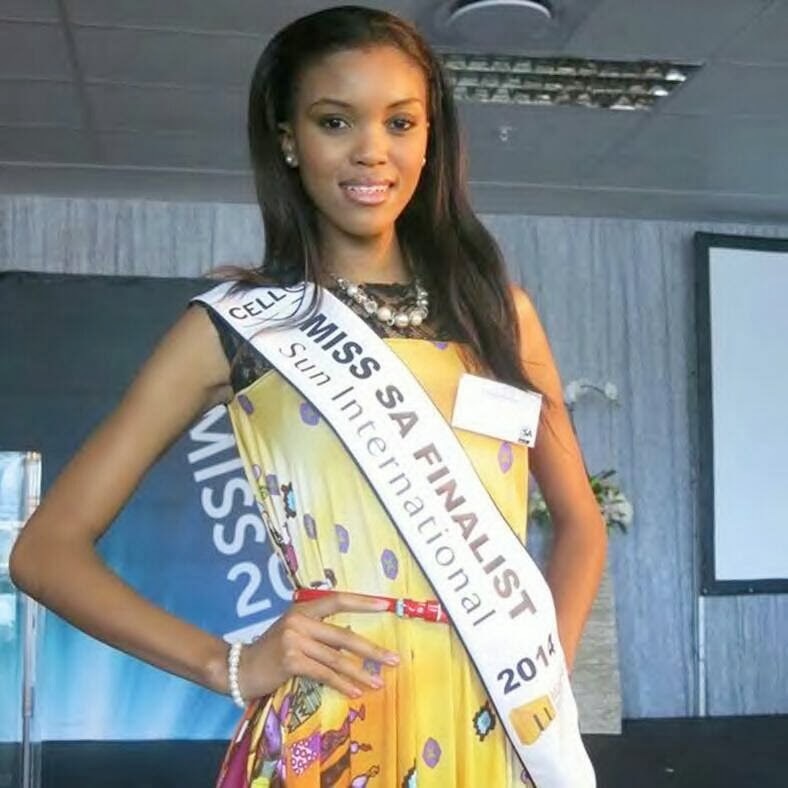 Miss SA is a NATIONAL pageant. I would recommend the broadcast to M-Net as much more people watch the channel. Carte Blanche is an extremely popular show for the network, it would make tons of sense to put CB on a hiatus for a week, and start the broadcast at 6pm so a lot of viewers would then tune in. It’s also right before the 8pm Movie Premier. I would NOT recommend SABC for obvious reasons. The SABC is just a sad mess. 1. Let each Top 12 contestant have her own evening gown. Let each one get a different designer, let the contestant sit down with the designer and give her opinions as to what colour, cut and fabric she likes. This indicates her personal style and it would be really an innovative idea. The Miss SA Pageant could also invite potential designers (those who are unknown) to be part of next year’s event. It would generate much interest in the pageant. 2. Allow LIVE scores to make a return. Part of an exciting pageant is to see if our opinions reflect those of the judges. These were shown in 2002, and that remains one of the reasons why 2002 was my favourite Miss SA Pageant. 4. GLAMCAM 360. This has been made hugely popular at the Oscars, and would work very well during the evening gown performance. When viewers get the opportunity to see the camera making full 360 angles so we can see each contestant from the back and from the front. 5. Top 12 should be interviewed and scored, compete in swimwear and be scored, compete in gown and be scored. The combined average of the three events can account for 50% with the remaining 50% from prelims. Then announce a top five. Allow the top five to answer a relaxed interview, and then the SAME final question. Announce the results in reverse order, from 4th runner-up to a FINAL TWO standing, ala Miss Universe. for international success? Only time will tell!!! 6. I don’t know how, but for Pete’s sake get one girl for Miss Universe and another for Miss World. I know one titleholder is essential, but find a way around this. I am sure it can be done. MISS SA 2014: (Preferred for Miss Universe)- ROLENE STRAUSS. could bring international glory back to South Africa. It will be a major boost for the Miss SA brand. CROWN CONTENDER: Stunning Ziphozakhe Zokufa is another major crown contender. She could do exceptionally well at Miss World... but as a runner-up she will not receive much love from the Miss World judges. A title is needed. 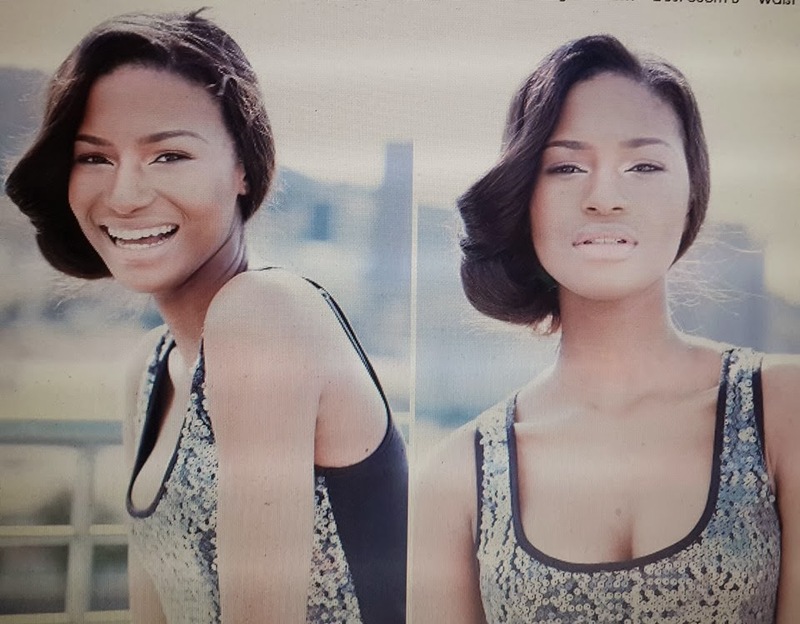 She is the most gorgeous black contestant since Avumile lost twice (insert angry face here), and she is on the same level as Candice Ndzeku (Miss SA 2004). She has been likened to Miss Universe 2011, Angola’s Leila Lopez. To me, she has quintessential beauty which will appeal to Julia Morley, CEO of the Miss World Org. She too, would do well at Miss Universe. It’s a pity that Zipo and Rolene entered in the same year, because back to back, they would be the next Vannessa Carreira and Cindy Nell (two Miss Universe top fives consecutively). To me Rolene edges her slightly, just because I have yet to see a bad picture of Miss Strauss. Coming up: A pre-final review (March 28) and a post-final review (after the pageant). I think Zipho would be the best and most strategic choice. She is effortless and spontaneous and her track record in pageantry is outstanding. She is also versatile and could be a success in both MW and MU. Great write up. But we have to disagree. Miss SA deserves to be on a national free-to-air broadcaster. Not everyone has DStv. M-Net is only available to a few people who have the full DStv bouquet, therefore e.tv and even SABC 3 would have been better channels. I mostly agree. I do however believe that politics will play a part this year. I really do hope Rolene wins, but I think Ziphozakhe has the politics on her side. Good article, but we disagree on your choices. Out of such a bunch of lovely ladies, a girl like Anzel will do extremely well internationally. She has the best body, has a warm, outgoing personality, beautiful face and is a true lady with stacks of poise. As a bonus she has a sharp business brain (on her way to be a CA) and has the potential to develop into an incredible ambassador for our people and our country. She will really make a difference!